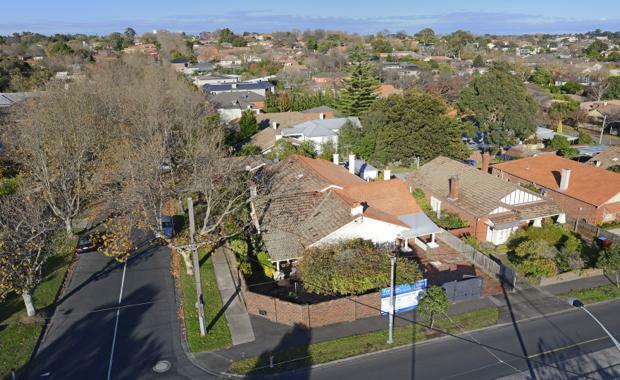 Two homeowners in Glen Iris are the latest example of residential vendors in Melbourne’s suburbs teaming up to sell their neighbouring properties to a developer. Colliers International’s Ben Baines, Ted Dwyer and Hamish Burgess have sold two neighbouring properties at 1520 High Street and 65 Erica Avenue in Glen Iris as a 830sqm residential development site to a local developer for $3.4 million. The campaign received over 105 enquiries, with the property being sold only 24 hours after the EOI period closed. The final sales price resulted in a record land rate for the area of $4,096/sqm. "Both owners received approximately 30 per cent more through the process of selling to a developer than they would have done had they sold their houses individually," Mr Baines said. 1520 High Street, Glen Iris[/caption]Colliers International has seen a growing number of residential vendors in Melbourne banding together to put their properties to market conjunctionally as they look to capitalise on strong appetite for development sites. Nearby in Kew East, Colliers International’s Peter Bremner and Hamish Burgess have sold two neighbouring properties at 831-835 High Street to a Chinese developer. As in Glen Iris, this 2,377sqm residential development site consisted of two properties each with a residential dwelling on site, which were marketed together. A site feasibility study by Buchan Group Architects revealed the site could provide for a three-level, 52 apartment development with basement parking. [urbanRelatedPost][/urbanRelatedPost]Mr Burgess said after receiving in excess of 130 enquiries, the property was hotly contested by a number of parties and the price, whlilst undisclosed, was driven above expectations. These two sales follow the acquisition of four side-by-side properties at 170-176 McKinnon Road in McKinnon by local developer Citiplan Property. In this instance, Mr Burgess, Mr Bremner and colleague Andrew Ryan assisted four separate owners in joining forces to sell their properties for $4.18 millionMr Baines said agents were also seeing an increase in activity from Asian buyers in Melbourne’s metropolitan market as this buyer group began to look outside the CBD. He said around 70 per cent of enquiries for this kind of property with development potential was now coming from offshore groups.